Wow, that’s a hard one! 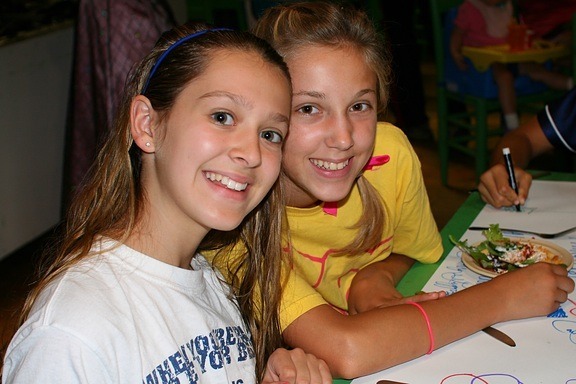 Of course, the most obvious answer is being able to do all of the great activities at camp— the crafts, the sports, the adventure, the horseback riding, etc. While that’s important, there’s something else that makes Rockbrook especially fun (the most fun, some girls say!). And that’s how amazingly friendly it is, how easy it is to make friends at camp, and how you truly feel you are a part of the group. Feeling at ease around everybody, having all these people who like you, and being supported by teenage girls (as opposed being excluded, or criticized, or put down) is just perfect for having fun. In other words, not worring about “what people might think” makes it easy to dive right in, be creative, try something new, tell a story, and maybe laugh your head off. It’s just easier to have fun with your friends, right? And so, the friendlier you are and the more you are a friend (i.e. have friends), the more fun you’ll be having too. It’s a great way to think about the fun of camp. One Response to "The Fun and Friends of Camp"